1. Do I need to give my IELTS test again before we get an ITA after my score card expires ? 2. If IELTS score card is already expired at the time of ITA then will the case be rejected by CIC ? 3. Can I present fresh IELTS score card after we get an ITA ? give my exam again giving me the example of some previous successful cases of same conditions but I doubt because I constantly monitor CIC website and the FAQs. I am really worried because I don’t want to take any risk by not giving exam again & also I don’t want to waste another 20000 INR for IELTS exam & coaching unnecessarily if IELTS again is not required. Please guide me wisely as my current IELTS score card is going to expire soon and I am falling short of time to take another IELTS test. Hope to hear positively from you soon. am currently on holiday in canada and will appreciate meeting with you for consultation requirements as regards migration. please kindly relate to me on how i can meet with you an office address or phone number. I have office hours in Calgary and Lethbridge. However, I am happy to set up a consult over the phone on Tuesday if that works for you. With Monday being Thanksgiving, our office is closed. Please let me know which you would prefer. I hope you’re having a wonderful time in Canada. 3. my wife is maxillo facial surgeon( dentist) in india,what is the possiblity of her getting job in canada.she also has to give any exams for practising in canada. 4. how much average salary does a pediatrician get in canada. I need immigration advice on below important matter to apply for PR under EE soon as I am waiting for IELTS result. I want to ask that, being INDIAN , I studied in UK and finished my MASTERS i.e.MBA. But during my second degree i.e. MSC IT in UK . I came back to India for holiday after exams and while returning to UK to pursue my degree , immigration stopped me at UK airport (Gatwick) and accused that I used fake english documents for student visa and they gave no chance to prove my self and send me back on next flight . But I filed case in UK court against them , as they accused me without any proof and I was innocent . Finally I won in court in all 3 hearings which they did against me and proved that I am innocent and good in english , I do not need to do any proxy test. My last IELTS score was 7.0 bands even , Well … after winning I never gone back to UK due to bitter experience, moreover MSC IT course was no longer avaialbel in my institution then I decided to stay in my country where are I am working and planned for canada. So, as I won in court and determination is in my favour, will it still be a problem when applying in canada , will I be inadmissible for PR application in future. Because of the complexity of this issue, you would need to set up a paid consultation with my office to examine the circumstances in more detail. I am planning to apply for canadian immigration under express entry. I am on a my ABC employer payroll and work for him on client sites. For example I am working in YZ bank as an IT Consultant and my employer is ABC. My paystubs are coming from ABC and they are running my payroll. Since when I approached to YZ bank they are not able to provide me reference letter as they feels I am not their direct employee. But ABC can provide me all the reference letter and employment letter to verify my job title and experience letter. So how can I deal with this situation so that the canada Immigration would not deny my case and I can file correctly. Ques 1) Should I write in my Resume my employer comapany i.e. ABC or my client company i.e YZ Bank ? Ques 2) Will the experince letter and pay-stub form ABC employer is appropraite and more than enough to prove my work experience ? Many of the CIP followers are asking similar EE questions. 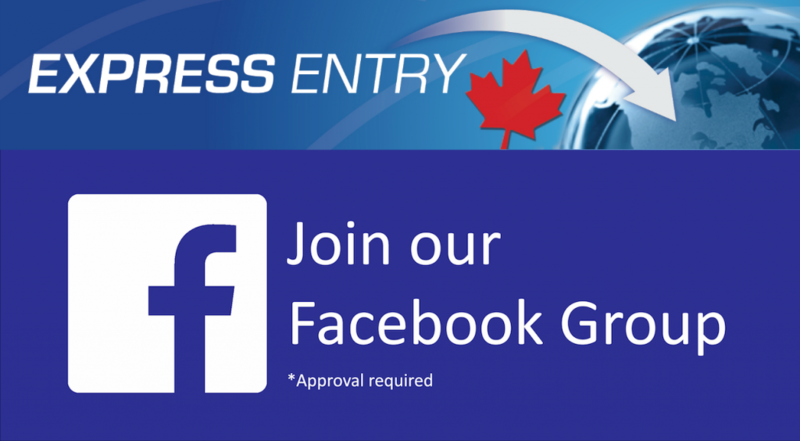 I have decided to create a separate website focused exclusively on Express Entry. Make sure to subscribe to my mailing list located in the top right section of the website to be notified of its release. Hi there I applied for visit visa for my mother and it got declined! One of the reason was insufficient fund! Although I have about CDN $10,000 not all of them are on hand meaning only $3800 are in savings account and rest are in fix deposit account! I only wrote about $3800 in the form but I also included the Bank Statement about the rest! My question is can I write all of them in the available funds or do they all have to be in the savings account? Let me know what I can do as I have been rejected for my study permit at my first attempt. #Like I was not able to satisfy them about my leaving canada after my study and duration of visa. let me know how should approch for the second time. I have received the ITA from CIC on October 19, 2016. My total work experience is 4 years, out of which 3.5 years was with my previous employer and 6 months is with my current employer (the job profile is the same and the NOC code is also the same). My CRS score was 478 and i claimed foreign work experience points under 3 years or more category. As you know, i am required to provide reference letters to CIC to justify my work experience. So my question is am i required to provide reference letters from both my employers or can i provide it only from my previous employer. I am a bit skeptical about disclosing anything about my PR application to my current employer since it may impact my appraisal and career growth here at my current organization. Please suggest. Me my wife and son are PR . Due to educational and family reasons we had to come back after getting our PR cards. Mean time my wife gave birth to our daughter and she is 19 months old now. We plan to move permanently now to canada in April 2017 secondly after this our 2 years stay requirement for PR renewal will expire. The issue is of our daughter she is too small to be left behind and it’s not possible to leave their baby alone. We planned to take her along on TRV and the apply for her family sponsorship… Her TRV got rejected…due to weak ties ,not a true visitor and advised to sponsor her once in canada…we are very confused what to do its impossible for us to leave her behind alone . I needed your advice on what should we do as we r short of time too…. I just got my Canadian Study Permit refusal letter. The reasons being not satisfied I have sufficient funds and also the office thinks I wont be going back to Bangladesh once my course is complete. I would like to reapply. I am not interested to stay in Canada once I complete my course as I have my own business in Bangladesh and I would like to grow my business when I return back to my country. I do not have any family members in Canada. Would you kindly tell me how I should proceed to reapply? 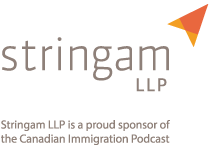 Please check out my latest episode of the Canadian Immigration Podcast. If you would like to retain me to help, I would be happy to do so. Send an e-mail to mholthe@holthelaw.com.